Improve your relationships with a renewed peace. This is how you can stop the endless noise of grievances in your mind and begin to move forward again. I did it and you can too. You will get the steps and tools I used to forgive fully. Since I have forgiven fully, I am much more at ease, grounded and balanced. My relationships have improved with the new sense of peace. Most importantly, I was able to begin moving forward in my goals once the grievances were finally quieted in my mind. Forgiveness takes courage and hard work. But, the effects are beyond worthwhile! Forgiveness gives you your life back; holding onto hurts takes far too much time and energy. Imagine what you could do with all of that extra time and energy! Contact Kim to schedule a workshop. 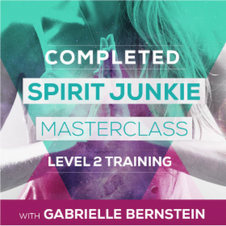 ​Kim Trotto has completed both of the Spirit Junkie Masterclass Trainings with Gabrielle Bernstein, Levels 1&2. 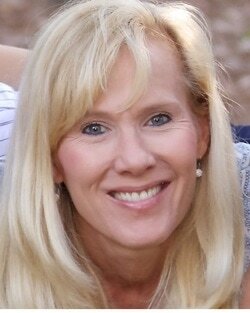 Kim Trotto/Soul Blissed Circle, LLC is a participant in the Amazon Services LLC Associates Program, an affliate program designed to provide a means for sites to earn advertising fees by advertising and linking to Amazon.com. We also participate in other affiliate programs which help to support our work and writing. We always share our honest opinions and information as we understand it. Any product claim, statistic, quote or other representation about a product or service should be verified with the provider or party in question. This site is not an official Weight Watchers site, Smart Points are calculated by Kim Trotto with the Weight Watcher app.